How do binary option brokers make their money? We thought it would be helpful to answer the most commonly asked questions here. Anything that could be answered in just a few short lines, of course. You’ll find our answers below. And if you have a question we didn’t answer below, just ship us an email and we’ll do our best to add it. How do binary options brokers make their money? They price their options higher than the pricing they receive from liquidity providers. They provide education and training sessions. You pay to sit down with an expert and discuss what trades to make, when and how. They make money from the difference between the winners and losers. For example, they might give you 15% back on a loss (from 100%) and payout 70% on a win. For every 1 win and 1 loss there is a 15% margin the broker collects. Why do brokers call you after creating an account? To welcome you to their platform. To discuss their different account levels and sell you on depositing as much as you can to reach the higher levels. To discuss trading and trading strategies with you for their platform. The overarching reason is to sell you on making (larger) deposits. Can you make a living trading binary options? I like to think of binary options falling somewhere between playing craps and playing poker. There are elements of skill, but it’s a lot of luck. Especially in the short term. Think one hand of poker like one binary trade. Anyone can win or lose any particular hand but over the long run, better decisions win out. Can you make money at it? Sure, but I think the people making the most money are the ones providing the shovels – the trading platform and tools. With that said, I wouldn’t bank on trading binary options for a living. Definitely not without a ton of experience trading. Another thing – you need to have a 55-60 percent ITM for even a hope of being profitable. From there you still need to be investing enough money for your winnings to cover your bills and future investments. The bottom line – no, you can’t make a living trading binary options in my humble opinion. Not for most people. It’s gambling and will not be a profitable venture for most people or no more than a side income for the majority of the rest. This refers to the market or strike price. It’s the price of any given (underlying) asset you’re looking at trading, and what you base your predictions on. How do binary options fit in an overall investment portfolio? Binary options are viewed by many – if not most people – as a form of gambling. The biggest reason why: binary options are a coin flip. There’s very little skill involved. Worse yet – brokers don’t even pay out 100% when you win. It’s more like 70 or 80 percent. In these cases you have to be right more often – 60-65+ percent. And that’s just to find the break-even point. You have to go further to turn a profit. There are much better ways to invest your money with less risk than binary options. What’s a good strategy for trading binary options? If you want more money in your pocket all you have to do is …stay away. Professional traders often stay away because they’re impossible to hedge or to manage risk. You might consider joining a live trading session as a visitor to watch how professional traders do it. Some experts also suggest only trading assets you’re familiar with. Maybe you’re experienced in foreign currencies. Then it would only make sense to trade those. When you trade something you know you start to remove the luck element and replace it with skill. That increases your chances of winning. What are the best binary options trading platforms? I suggest checking out our top list pages. We offer advice for people looking for brokers who have the lowest deposit minimum, offer bonuses, have the highest returns, accept US customers, and so on. Is it illegal for Americans to trade binary options? No – not to the best of my knowledge. It is, however, illegal for brokers to offer binary options to Americans if they have yet to be approved by the CFTC. As far as I know only one company has done that – Nadex. All others are operating in the states illegally. But even a broken clock is right twice per day. In other words, you can make money trading binary options just like you can make money playing slots. The house still has the advantage, though, which means in the long run they win and the player loses. The only way you make money trading binary options is by not trading at all. Following that, it would be trading, making a profit and walking away from it. Kind of like hitting a jackpot at slots and then never playing again. But most people never do that. What is the difference between options and binary options? The difference between a binary option and a regular option is that a regular option has a smooth function and a binary option has a step. If you have a smooth function, then you can buy or sell stock to balance the price of the option and reduce your risk to zero. If you own a call option (see below) then when the option is high, you short sell one share of stock and that balances any change in the option price. When the option is low, you hold zero stock and that balances the option price. In between, there is a mathematical formula that tells you how many shares to hold to balance the option. Because, binary options have a step function, you *can’t* rebalance the price of the option by buying and selling stocks. That way if you own a binary option, it’s a pure bet, you win or you lose. Because there is no economic reason to buy a binary option other than to gamble and because you can’t hedge risk, the big banks stay away from binary options, which allows a lot of little players to come in. The bottom line – with regular options you can make investments to minimize – even eliminate – your risk, while with binary options there’s no way to do that. Are you binary options better than roulette? There are a lot of variables. For one thing, it depends on the roulette variation you’re playing, the bet you make and the payout from the binary option broker. If you assume a 70% payout from the options broker and, say, a 15% return on your losses, there’s a 15% margin for the broker. For every $100 spent that’s a $15 cut for the broker. Compare that to double zero roulette. The highest house edge is betting on the first five numbers which has a house edge of 7.89%. For every $100 spent the casino collects less than $8. Roulette is clearly the better game to play. But both are gambling, so I guess the question is which do you have more fun playing? What are trading signals for? Trading signal providers are alerts sent to you by phone or email to let you know about assets that look like good trades to make. These usually cost you money every month unless you get access to one as apart of a deal when you join a broker. 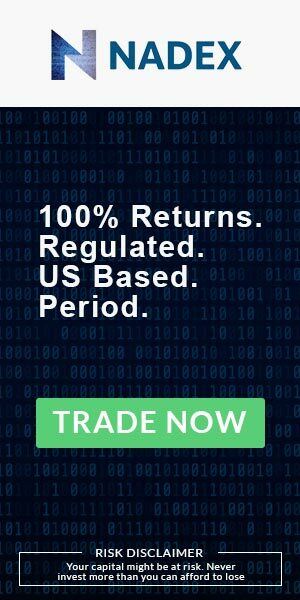 Is Nadex a legitimate platform for binary options? Well, they’re the only licensed and regulated option for Americans. According to experts much smarter than me, Nadex also trumps EU binary brokers in that you can use strategies to earn 1:1 on your money – sometimes even higher – and you can buy options already in the money or buy/sell early to minimize your risk. Why would anybody trade binary options? The same reason people play craps or slot machines. It’s fun to do and there’s a large upside if you get lucky. Some people buy into the get rich quick mindset. Just press buttons and you can win lots of money. Others just like to gamble or want to be entertained. What’s the difference between binary options trading and stock trading? With binary options you are betting that an outcome will be either true or false. If you’re right, you win. If you’re wrong, you lose. Also, there is a defined expiry time when the bet closes. A bit like backing a sports team in a two-sided contest to win or lose. With stocks, you are taking a directional bet (price will rise or price will fall), but this time your account will appreciate or depreciate with every tick move in the stock price. It’s also up to you when you close the trade. So, in effect you are betting on degrees of “rightness” or “wrongness” over how ever long you’re willing to let the trade run. How do I master binary options? I don’t think you can master binary options trading. But I do think you can get better at it. BinaryOptionsBlacklist.com – This site published un-censored trader comments right on their home page for all to see. I would search this site for actual trader reviews before signing up anywhere. Forex Peace Army – One thing they have I like is their list of scams. These are based on user reviews and the forum admins, of course, so some of them might be subjective. Keep in mind the group here is cruder than those at BOTS. They also have reviews, different tools and calculators and plenty of education. Both forums are free to join. Another way to get better at binary options is to get a demo account. We have a dedicated page for demo accounts that shows you the brokers that offer a truly free demo account. But you can use these accounts to learn how to trade, practice strategies or develop your own. My last tip for getting better at binary options trading is to use the educational content most brokers provide. A free e-course. Subscribe to their live course and you can ask a professional trader your questions. A trading ebook. A free resource for you to download, this book explains how to get started with binary options. An interactive ebook. Learn how to use 24Options’ platform and how to trade all their options including high/low, touch/no touch, boundary and 60 seconds. Trading videos. This is a good option for visual learners. They’ll show you how to make predictions and calculate your risks. This is a great way to get from 0-60 in the shortest amount of time possible. Do you have a question we failed to answer on our binary options FAQ. Contact us and let us know and we’ll add it here.